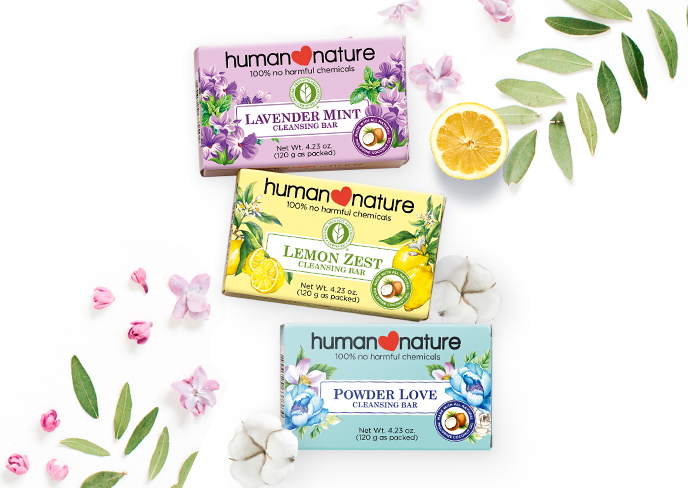 Revel in soft, hydrated skin with gentle cleansing bars rich with 100% natural essential oils and glycerin from Philippine coconut oil. We've got a brand new box design! You may receive our cleansing bars in their classic packaging while supplies last. Our cleansing bars are free from BHT and EDTA, discoloration-preventing chemicals found in many soaps that can irritate the eyes and skin. Plus, they're cold-processed to retain their natural glycerin, consuming less energy and producing less waste. I am so in love with the lavender mint scent! This is now my daily bath soap; I think I'm on my 7th bar. 1. Your goal is simply to wash away the day’s dirt and excess oil, not strip off your skin’s natural protective barrier. 5 to 10 minutes in the bath or shower should be enough. 2. Use warm, not hot water. 3. Pat your skin dry gently with a towel - don’t rub too vigorously. 4. While your skin’s still damp after toweling, apply a moisturizer like our Healthy Lotion to rehydrate your skin and seal in moisture. 5. Give your skin the extra lovin’ by alternating your Scented Cleansing Bar with Vanilla Exfoliating Bar 2-3 times a week. The warm, balmy climate of the Philippines makes it the world’s top producer of coconuts. 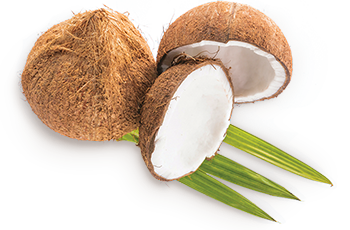 Coconut oil from mature coconuts is widely prized for its multitasking qualities. Abundantly found in the tropics, sugarcane produces a natural alcohol. 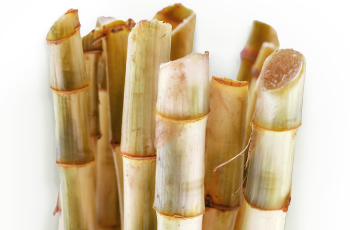 In some of its other forms, sugarcane is used as a natural preservative or as a humectant. The Lemon Zest variant makes me feel happy and fresh every bath time. It leaves my skin feeling clean and soft. I don't feel like I need to apply lotion after using the soap because my skin feels moisturized. I have bought more than 50 pieces for selling and gifting :) The Aloe Fresh variant does not smell as fresh as Lemon Zest but it is very good in removing dead skin cells. I am so in-love with the lavender mint scent! This is now my daily bath soap; I think I'm on my 7th bar. I've also tried the exfoliating bar and I am impressed with how it scrubs on my skin. It is tough as it exfoliates but is gentle on the skin. For the 3 scented soaps I give 5 stars! Recently, I purchased your Lavender Mint Scented Cleansing Bar. I was really ecstatic to try your products as I prefer to use natural ingredients and it's even better to know that it's cruelty-free, as I could not look into my dog's eyes without feeling guilty that I used to use products that were tested on animals. However, once my package was delivered, I was delighted to find that the soap was refreshing on the skin! Before, my skin felt very rubbery, but when I used the soap (although I have to agree, this soap does melt very quickly. But for the natural ingredients and cruelty-free testing, I'm fine with that!) I instantly felt hydrated, and no irritation whatsoever. My father, who is a very picky American, was very doubtful at first, but also agreed that the soap did wonders for our family!